It has been evident enough for a long time that celebrity beefs are always as a result of financial reasons. Everyone wants to be on top of the league when it comes to flaunting their financial muscles. Yesterday 9th Friday 2016 Self-proclaimed Kng of bling Prezzo appeared for a live interview with betty kyalo. 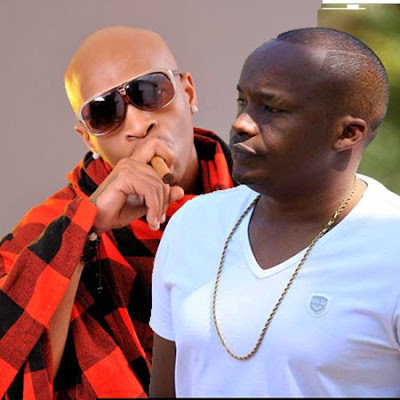 The well endowed news anchor happened to ask Prezzo the reason for his beed with Jaguar but his response gave many a shock of a lifetime since he denied knowing the musician. "So what is the beef between you and Jaguar?" Betty Kyalo quipped. "You mean the car? "- Prezzo. After the s3xy screen gave him a proper description of Jaguar, Prezzo told her that he knows nothing about him, adding that he only saw him in a photo posing with his buddy, who happens to be President Uhuru Kenyatta. "He is actually fortunate coz I saw him taking a photo with one of my friends, the excellency. And when I asked Uhuru Kenyatta who the hell this guy was, then my people in the background told me he is called jo.....jan.....jog....jagu... what's the name again?" Said Prezzo, who also claimed that Jaguar is non-existent to him. It's alleged that Prezzo was drunk during the interview.